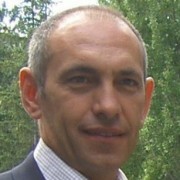 Associate Professor at Università degli Studi Roma Tre, he teaches “Web based information systems” and “Web Information Management”. His research interests include information extraction and data management techniques for Web data; he has published his research results in important conference proceedings and journals of the field (see his profile on Google scholar). He is president of the Industrial Advisory Board of the computer science program of the Department of Engineering. He is co-founder of InnovAction Lab.